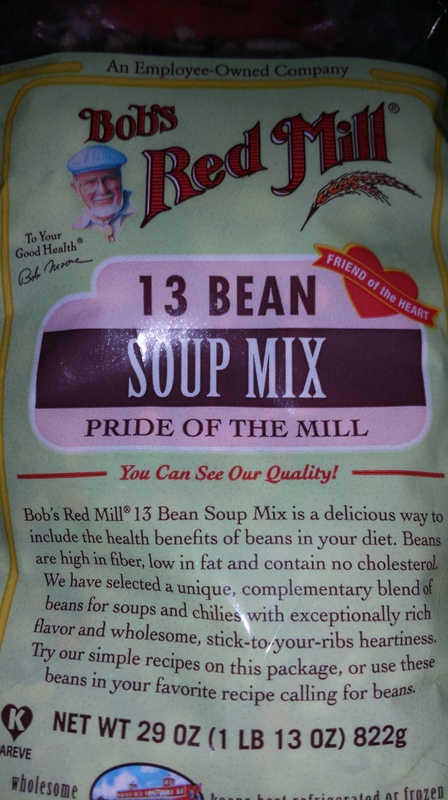 2 cups Bob’s Red Mill 13 Bean Soup Mix, either soaked overnight or brought to a boil and simmered for 5 minutes, then left to soak one hour. 1 to 2 Tablespoons chili powder or your favorite hone made blend. Up to 1 teaspoon salt or Mrs. DASH SOUTHWEST BLEND SALT FREE SEASONING OR GARLIC HERB. 1 added about 1 quart of tomatoes that I canned this last summer. It would be the equivalent of about 2 large tomatoes chopped. Brown chopped onion and a little extra virgin olive oil or canola oil and then add the ground turkey and sauteed until all pink is gone. 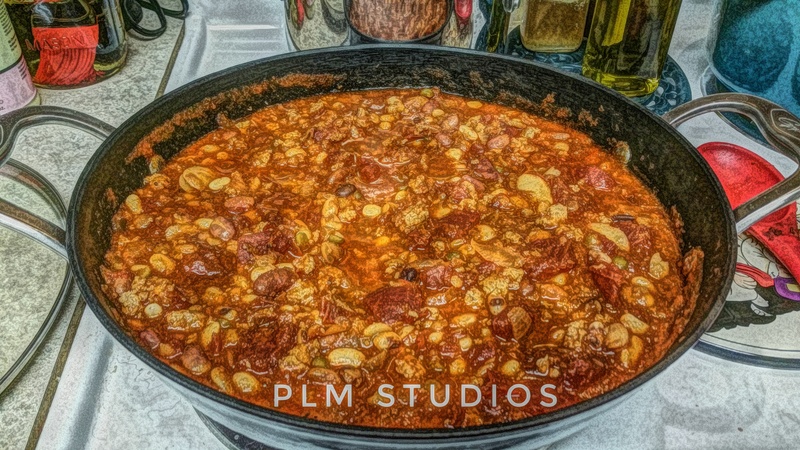 Add the soaked beans next to a very large stock pot or Dutch oven and then. Add the other ingredients and then cook until the beans are tender. 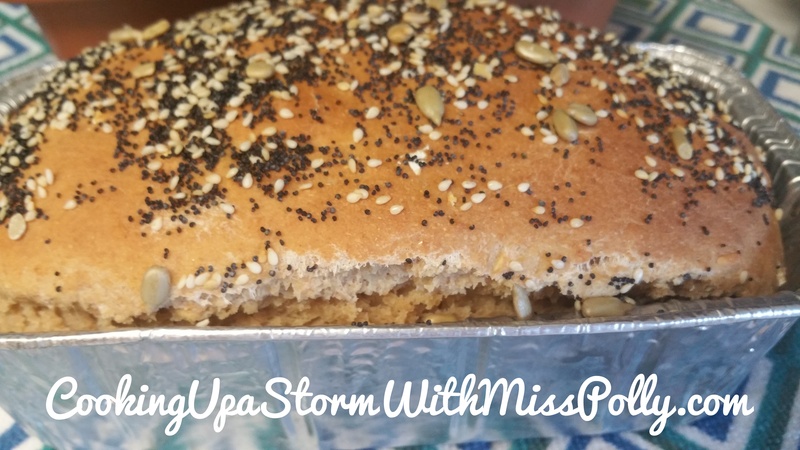 You could also do this in a crock pot if you would like. Serve with sour cream, you can add some shredded cheddar or Monterey Jack cheese, some cilantro some Ortega green chilies and a few black olives for garnish. 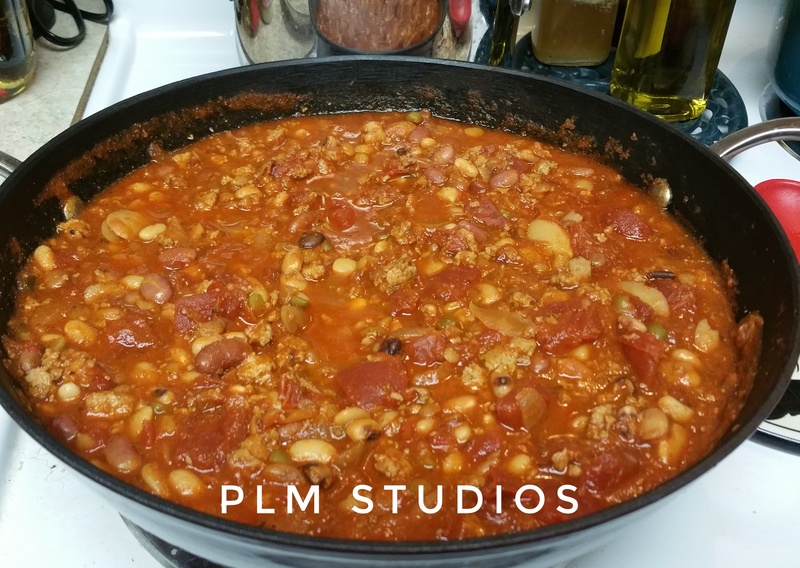 I served my chili with some gluten free bread, cut up in chunks, -that I made from Bob’s Red Mill Gluten Free Bread Mix, in the bottom of a large bowl and then I talked it with the chili. Paulette L. Motzko, PLM Studios.